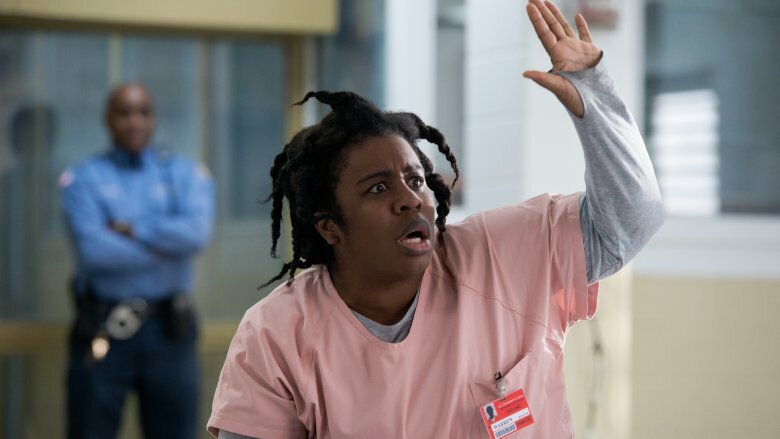 When Orange Is the New Black first premiered in 2013, Uzo Aduba won over audiences with her nuanced portrayal of Suzanne "Crazy Eyes" Warren. Vulnerable, highly intelligent, and kindhearted, but paired with intense emotional outbursts and violent streaks, the actress' eccentric on-screen alter-ego was described by a show writer as "innocent like a child, except children aren't scary." But underneath Suzanne's signature hairstyle, stark prison uniform, and ­­­­roller coaster storyline is a skilled actress who worked her way into showbiz via musical theater before scoring this breakout role. 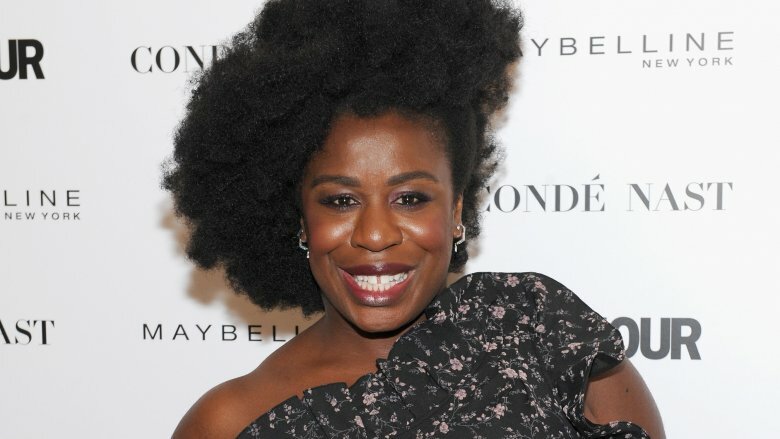 While the complex inmate was originally meant to be featured in a two-episode arc on the hit Netflix series, Aduba's standout performance among a strong ensemble cast encouraged the dramedy's creators to keep her around as a series regular. Since then, the multi-talent has become a fan-favorite as her sheer talent continued to earn her critical acclaim. 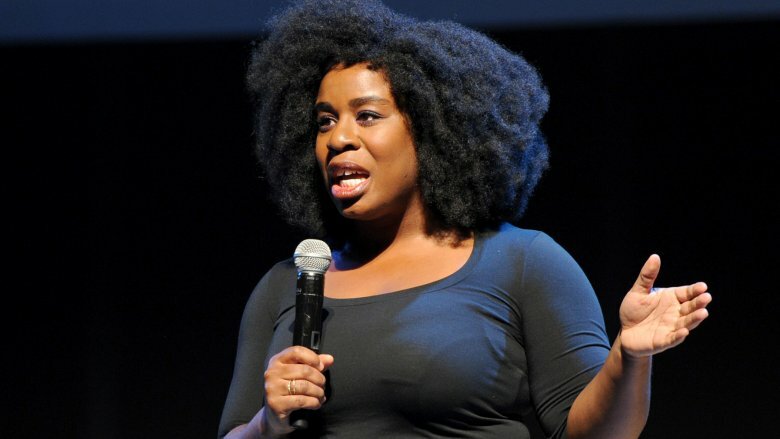 So, what do you need to know about the real life of Uzo Aduba? Well, she's gorgeous, for starters. 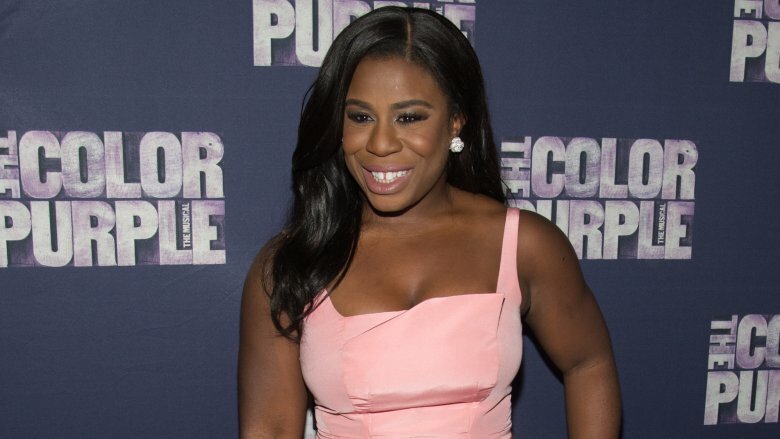 While it's impossible to imagine anyone else playing Suzanne "Crazy Eyes" Warren, Uzo Aduba initially went up for an entirely different role: former track star Janae Watson (who's played by Vicky Jeudy). At that point in the audition process, OITNB's creative team hadn't even begun searching for their Suzanne. However, they felt Aduba would be perfect for the part. The actress got the casting call from her agents weeks later. "'We have really good news for you,' They were like, 'Remember this audition you went on for Orange Is the New Black? Well, you didn't get it,'" she recalled with a laugh to Entertainment Weekly in 2013. "I was like, 'Okay, the good news comes in when?'" 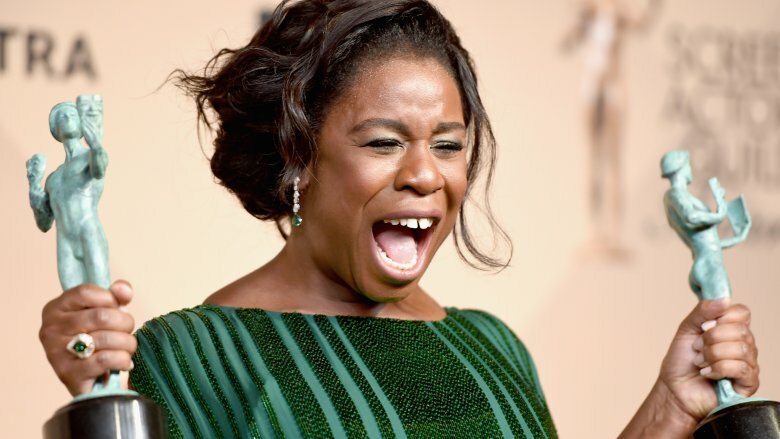 After learning she'd scored the part of Suzanne, Aduba couldn't help but wonder, "What in my audition made it feel like, 'She's not right for the track star, but she's totally right for the crazy person.'" However, she added, "When I got the part, it just felt like the right fit." We couldn't agree more! 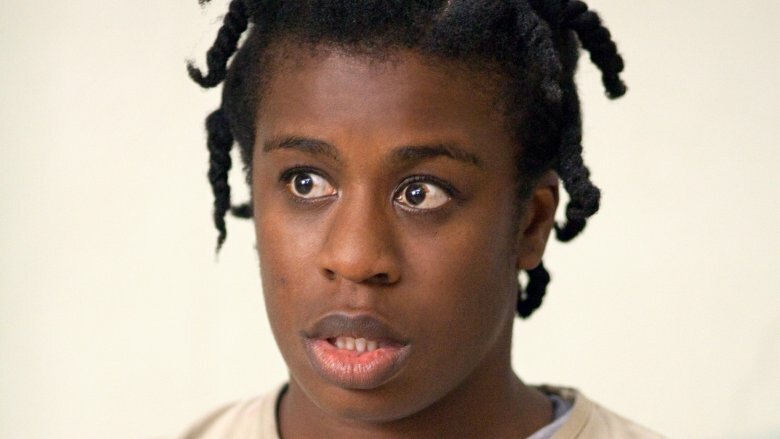 Aduba can remember the exact date and time she landed her OITNB gig. "It was 5:43 p.m. I'll never forget it, Sept. 14, 2012," she told Deadline in 2015. "It was a Friday." This moment is ingrained in the actress' mind, because she'd made a potentially life-changing decision just 45 minutes before getting the casting call: After putting ten years in as a working actor, an entire summer of hearing "nos" during her first pilot season, and crying on the subway ride home following another failed audition, she quit acting to become a lawyer. "There have been times in my life where I have doubted, questioned, felt tired, but I had never quit before in my core," Aduba later told Essence (via the New York Daily News). "My heart never quit. And that was the first time I felt my heart give out on me." If quitting acting was the most difficult decision of her career, what was the easiest? "Saying 'Yes' to Orange Is the New Black," Aduba told Marie Claire in 2017. 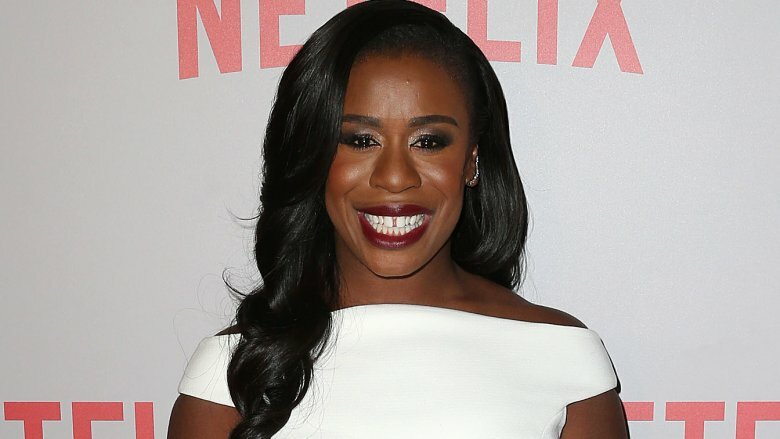 Uzo Aduba feels a deep sense of responsibility to Suzanne. In lesser skilled hands, the character might have become a one-dimensional punchline, but the actress' portrayal is centered in understanding the intentions driving Suzanne's sometimes ill-perceived actions. 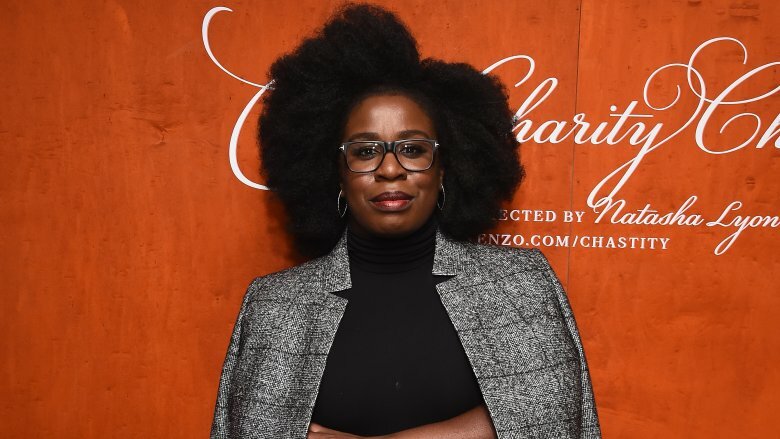 "I was excited by the challenge of Suzanne," Aduba told the Huffington Post in 2013, explaining that everything her character did is "just a click off." "I never wanted to play her 'crazy' as that's not as interesting to me," the actress later revealed during her Reddit AMA, before explaining how she was grateful that the writers had "evolved her … from being who we think she is to who she might actually be." As such, she's often talked about the importance of emphasizing Suzanne's humanity amid her mental health struggle, particularly due to the unlikelihood of her receiving proper treatment in prison. "My dream final ending for Suzanne is full growth," Aduba told Bustle in 2018, but added, "What I guess [I want to see], sadly, is the truth of what happens to people like her in [the real world], for better or worse." For much of her life, Uzo Aduba felt like an outsider. As the daughter of Nigerian immigrants, she grew up in the mainly white town of Medfield, Mass., where people struggled to pronounce her full name, Uzoamaka, which means "the road is good" in Igbo, a language widely spoken in Nigeria. "I definitely identify with Suzanne's experience because I felt like I was an 'only' at times," the actress told The Daily Beast in 2014, explaining that in an effort to "blend in," she asked her mother if she could go by Zoe instead. "People learned to say Tchaikovsky, Michelangelo, and Dostoevsky," Aduba's mom had replied. "They can learn to say 'Uzoamaka.'" Indeed. Still, as Aduba told NPR in 2018, "When you are not being validated or affirmed through society, it challenges … every brown, black, little child into wondering, 'Well am I enough?'" These days, however, the actress couldn't be prouder of her heritage, having undergone a long journey toward self-acceptance while conquering Hollywood. "This business will try to convince you that you're not enough," she told Essence (via the New York Daily News). "That you're not pretty enough, thin enough, talented enough, interesting enough, experienced enough, and I say, 'Enough. Enough with that!'" While Uzo Aduba was a television newbie when she scored her life-changing role on OITNB, she'd spent nearly a decade perfecting her craft as a stage actress. After scoring a Helen Hayes Award nomination for her supporting performance in Translations of Xhosa in Washington, D.C. in 2004, she made her Broadway debut in Coram Boy three years later. However, while appearing in the 2011 revival of Godspell, her new agent at the time urged her to switch over to TV. "That was June 2012," she told The Daily Beast. "And then I auditioned for Orange at the end of August, and got it." And the rest, as they say, is history. However, that doesn't mean Aduba gave up on her theater roots. In 2015, she starred as Glinda in NBC's The Wiz Live!, before appearing in The Maids on the West End in London the following year. At the time of this writing, Aduba will next return to the stage Off-Broadway in the world premiere of Toni Stone in May 2019. Uzo Aduba is a longtime activist devoted to using her celebrity to foster change in the world. The actress is a supporter of a number of charities and was named in 2018 as the first-ever celebrity ambassador to Africa for Heifer International, an organization dedicated to ending world hunger and poverty. However, she also spends much of her time and energy advocating on behalf of LGBTQIA+ rights and representation in the media. Her efforts were recognized when she received the Point Foundation's Courage Award and the HRC's Ally For Equality Award in 2017. 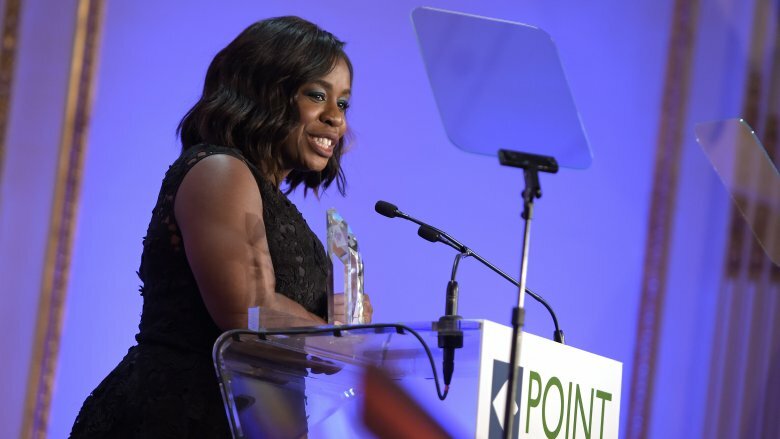 While accepting the latter, Aduba delivered a powerful 15-minute speech, emphasizing the importance of allies and relaying "one basic and simple truth" to LGBTQIA+ youth: "You are loved. Period. You are special. And don't you ever, ever forget it." For Aduba, her acting and activist work are intrinsically linked. "I think sometimes the most effective activism can be when the people don't even know they're being transformed," she told Rolling Stone in 2015. "When you're able to blanket in change and artistic expression in one breath — that's the art I'm interested in." Adding to Uzo Aduba's seemingly endless list of talents, she's a classically-trained singer who studied opera at Boston University before embarking on her early acting career in New York City. "I do all right," she modestly said when the Rolling Stone asked if she's a good opera singer. "I feel like an a**hole to say, 'Yes.'" However, her former voice teacher, Claudia Catania, was happy to gush over her star student. "She's totally sincere, totally honest," Catania told the Bostonia in 2014. "Aduba was a classical voice major and she came into class and sang Andrew Lloyd Webber's Aida, and I realized this woman was really an actress and musical theater person." 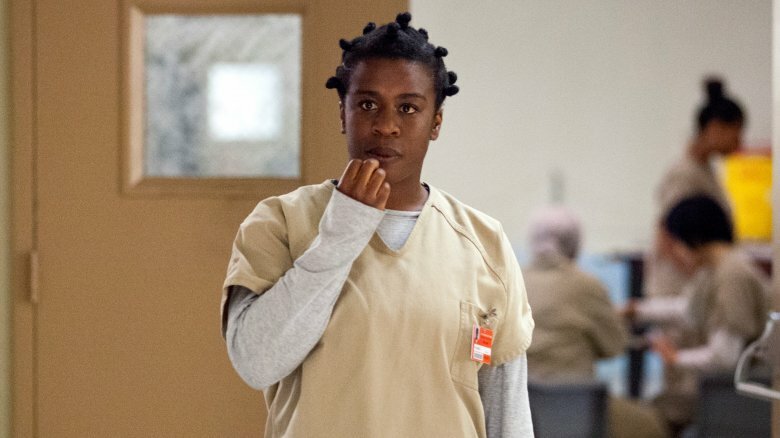 Aduba unfortunately has yet to show off her impressive pipes on OITNB. However, thanks to the internet, we can hear her bust out a gorgeous bit of Puccini's "O mio babbino caro" on The View, watch her perform "Simple Joys" from Godspell, or be brought to tears with her showstopper rendition of "Believe in Yourself" from The Wiz Live! any time we please. While Uzo Aduba is undoubtedly a natural-born performer, she was also a Division 1 track star during her college days. "[I] chose BU because they had both a good track program and an arts program," she told The Daily Beast, adding, "I also figure-skated competitively for about 10 years. …But in high school, I realized that the arts was my first love." According to the Bostonia, the multi-hyphenate excelled in both athletics and the arts during her time at the university, and remains one of the school's record-breaking sprinters. The actress may be fully-immersed in show business nowadays, but she hasn't shown any signs of letting go of her athletic roots, as she continues to participate in marathons. "[It's] this incredible feeling of accomplishment to go out there and to challenge not just your body, but your mind," she told Self in 2014. 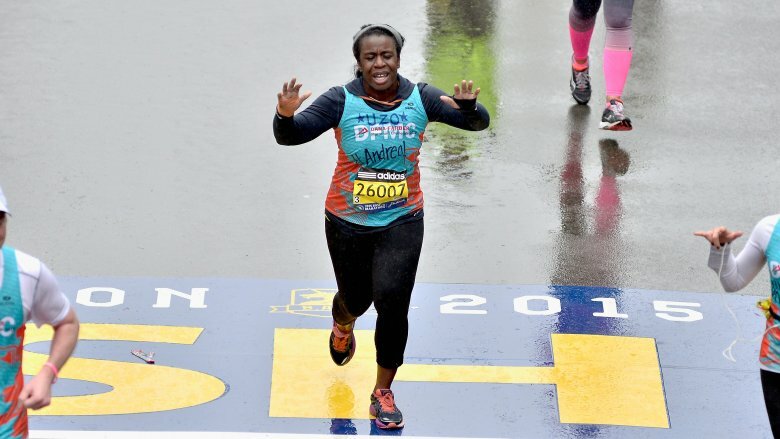 "The race starts at Mile 18 — your body is truly fatigued and … there's a quiet voice that's trying to tell you it's okay to stop. And you just have to fight it." Honestly, is there anything Aduba can't do? While taking breaks between her busy schedule of acting, singing, marathon training, and performing activist work, Uzo Aduba is a total foodie. But on a scale of herbivore to carnivore, let's just say that while the actress loves her veggies, she probably won't be going vegan any time soon. "I definitely mostly eat meat," she told Self, adding, "My sister, when we were kids, thought mushrooms were meat because I loved them so much. And I loved meat so much, so she thought mushrooms must be a meat. She was like — she eats all these burgers, mushrooms must be meat." Given her self-professed love of meat, Aduba naturally makes a "mean" marinated chicken. "I can't even [take] credit for the recipe because my older sister gave it to me," she told Bon Appétit in 2015. "It takes three days. We call it our Jesus Christ Chicken because it rises on the third day. It's absolutely delicious. The key is to marinate, marinate, marinate." Okay, now we're just hungry. As an acclaimed singer-actress-athlete-activist, Aduba's body is essentially her instrument. In order to maintain her busy and varied schedule, the multi-hyphenate has become a big proponent of self-care. For Aduba, this includes going on vocal rest, practicing meditation, making sure she gets enough shut-eye, and even taking trips by herself. "I think for me, anyway, it seems like I choose to involve myself in things that will help to fill my supply rather than deplete it," she told Shondaland in 2017. She added, "It's disconnecting and unplugging from your day-to-day, unplugging from social and internet, social connective experiences. I think it's disconnecting, in some cases, from just your work; disconnecting from, in some cases, the world around you, just whatever that is made up of — family, friends, cats, dogs, whatever." As Aduba continued, the TV star ultimately advised readers on how important it is to "take that time to yourself and reacquaint yourself with yourself." 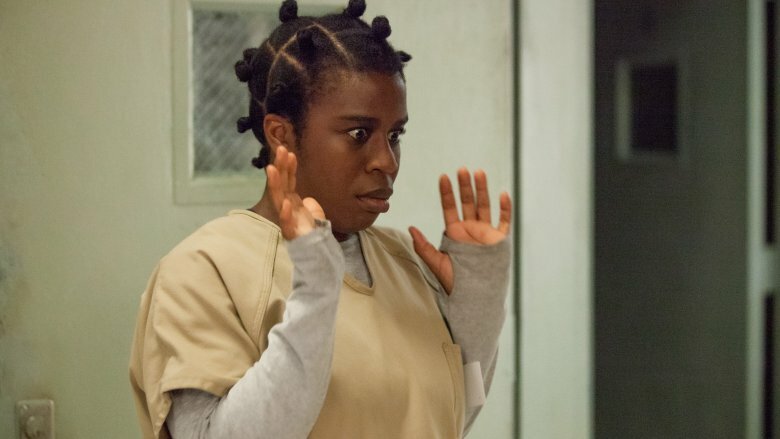 Ever since OITNB's 2013 premiere, Uzo Aduba has gone on to win several awards and endless critical acclaim. At the time of this writing, the actress has been awarded two Emmys for Outstanding Guest Actress in a Comedy Series in 2014 and Outstanding Supporting Actress in a Drama Series the following year — making her one of just two actors to win in the categories of comedy and drama for the same part. She's also received a Critics' Choice Television Award, two Screen Actors Guild Awards, and two Golden Globe nominations. No big deal. Amid her hard-earned success, Aduba has remained exceedingly grateful and humble, as showcased during her emotional acceptance speech at the 2015 Emmy Awards — which absolutely brought us all to tears. "If I could say thank you a thousand times, it would not be enough to cover the amount of thanks that I feel for you, [OITNB creator] Jenji Kohan. I love you so much. I appreciate you for putting belief back in my heart," Aduba said, before thanking a long list of family, friends, and colleagues. "You guys are incredible," she continued. "And I love you mostly because you let me be me." We genuinely can't imagine wanting her any other way.